The TENDEX is one the coefficients of player efficiency evaluation more used by the Basketball coaches, and was the basis of the work of the eBA Basketball Statistics Analysis System, created in the same year, and between the first systems in apply this evaluation mean. This coefficient was developed by Dave Heeren in 1988 and is the methodological basis of an annual publication (Basketball Abstract) where the efficiency of all the players of the NBA are evaluated. Currently the eBA Basketball Statistics Analysis System applies this formula in a different way developed in our eBA Statistics Clinics. Read More at eBA CLINICS ONLINE, search "basketball statistics formulas" in this blog and consult the eBA Basketball Statistics Analysis System. is a Series of Notes edited the 3rd. Thursday of Every Month ! London 2012 Olympic Basketball Arena Opens its Doors ! Great Britain coach Chris Finch talks training and tactics as the London 2012 basketball stadium hosts its first test event at Olympic Park. I'm not sure it affected my team a whole lot as I think we got about four offensive rebounds the entire season. Regardless, is anyone else tracking this? What is your formula? ..."
"... The .44 is the factor in the total possessions formula that helps to pretty accurately measure how many possessions were used during the total of FT attempts. Often a player will get 2 FTAs. Sometimes just 1, sometimes 3. Sometimes it will be a technical foul and not be the end of a possession. Sometimes a missed FTA won't end the possession because of an offensive rebound or a foul of the offensive rebounder. The historical average for possessions used up is 0.44 × FTAt. ..."
"... It is good to ask about details that don't make obvious sense. Sometimes the answer can be found re-reading a passage (as it could this time) but it is true that sometimes advanced statisticians don't explain all their shorthand and it can get difficult. There are times I can't follow it all clearly myself and it not always possible to contact the author directly. Often times though if you step back and ask what is happening in the big picture, what is the main conclusion? you can get something out of an article even if some of the detail is too complicated to follow step by step. 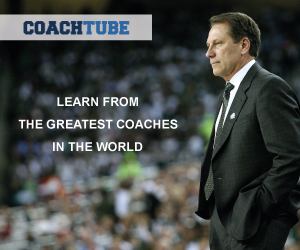 ..."
"... We use the points per possession method that Dean Smith spells out in his book. It uses FGA, TO, and Trips to the free throw line (instead of FTA). This covers all possible outcomes on any given possession. I don't understand why ORB would be used for anything because that would already be accounted for as a FGA. I suggest looking in Dean Smiths book to get the best picture. ..."
"... I don't see why Offensive Rebounds would be subtracted in any formula trying to calcualte total possessions. Unless the shot doesn't hit the rim, an Offensive Rebound re-starts the shot clock (clearly a new possession). ..."
' Entrenamiento de Variables Psicológicas para los Tiros Libres ' by Eneko Larumbe Zabala. "The lost thing" Oscar Winner at the 83rd Academy Awards® in 2011 for the Best Live Action Short Film directed by Shaun Tan. click this week above on the 'Español' tab or afterwards click here: 'La Cosa Perdida' de Shaun Tan. "... Historically, the way we tend to evaluate basketball teams is to look at per game statistics. For instance, we might look at the Big 12 statistics from last season and conclude Nebraska, who allowed 60.5 points per game, and Texas A&M, who allowed 61.3 points per game, were both better defensively than Texas, who allowed 62.2 points per the game. The chief problem with this sort of analysis is that it ignores the pace at which these teams play. Texas A&M played at an extremely slow pace last season, averaging 62.2 possessions per game. Nebraska played slightly faster, averaging 63.6 possessions per game. Of these three schools, Texas played at the fastest tempo, averaging 66.9 possessions per game. Nebraska and Texas A&M were among the slowest-paced teams in all of Division I last year, whereas Texas' pace was pretty close to the Division I median of 66.6 possessions per game. ..."
"... If you are convinced that possessions, and not games, ought to be the appropriate way to normalize basketball statistics, then you are ready for the next step. Team performance on offense and defense should be measured as points per possession. It is useful to break points per possession up a bit further, in order to isolate various elements of offensive (or defensive) performance. In the coming months I will write about some of the ways in which I like to do this, but for now, we will focus on a fairly simple split. Here is an equation ..."
"... Essentially, true shooting percentage is the points scored per shooting opportunity divided by two. The number is divided for two so that it looks like a shooting percentage. Typically many teams and players will have TS% between about 0.5 and 0.6, so the scale is similar to what it common for more traditional field goal percentages. The problem with true shooting percentage is semantic -- it isn't actually a percentage. For example, TS% can be greater than 1. It can be as high as 1.5. The 0.5 prefactor seems kind of pointless, other than the effort to make this look like a field goal percentage. ..."
"... Then if we take the difference between Texas' ORB - TO and Arizona's ORB - TO, we get an estimate of the difference in shooting opportunities between each team. By this calculation, Arizona is expected to be +2 in FGA + 0.475 x FTA. They were actually +1. In this case, the discrepancy comes from the fact that Texas had one extra possession than Arizona did in the first half of the game. Both teams had the same number of possessions in the second half of the game. Note that sometimes this estimate will be off because it is just an estimate, but in this case we have an assignable cause. ..."
' Valoracion de Criterios Estadisticos ' by Matias Barmat. Two mischievous girls whose cause a lot of trouble to their mother. The mother complaints about this to their parish priest and sends one of the girls to the local priest to get some moral advice. The priest meets the girl and asks her "where is God?" in order to make her understand that God is love. But the girl misunderstands the question in her innocence and thinks that God is missing and she is being suspected for the crime. click this week above on the 'Español' tab or afterwards click here: 'La dama y la muerte' de Javier Recio Gracia. "... Where am I going with this? I’ve been thinking a lot about advanced statistics recently in the wake of the 2011 MIT Sloan Sports Analytics Conference, which I was not fortunate enough to attend but which the TrueHoop Network covered extensively. The Sloan Conference is the zenith of the advanced statistical approach to sports today, and it draws some of the smartest people covering or fielding sports teams in the world. ..."
"... For several years now, I’ve been a devotee–if a lackadaisical one–of this sort of sports analytics. I didn’t do so hot in Calculus in high school, but I do care a lot more about efficiency than pure scoring, and I believe in things like Pythagorean record as mathematical ways to ascertain the quality of a team considered apart from the quirks of day-to-day game developments. ..."
I wonder if hedge fund managers and sabermetricians can even help but obscuring the spirit of basketball in their attempts to quantify the product. ..."
"... The assumption at the heart of advanced statistics is that it is best to look many times at a basketball game to ascertain how to best succeed at the goal of outscoring your opponent. To find who is most efficiently either scoring or denying points, to recognize skills that are harder to see before the gunsmoke clears, like Chuck Hayes’ incredible post defense. To me, this is a business approach to basketball, and it is not wrong. ..."
"... Here’s my fear: People like me are drawn to advanced analysis, in some small part, because it compartmentalizes the game into something I can have a hand in, can process. I will never wake up as enormous and gifted as an NBA star, but I can diligently apply the full scope of my MacBook to figure out how to “maximize” their gifts. ..."
"... Because in the end, the best basketball is about watching as much as it is about winning. It’s a celebration of rare genius just as much as it is about the bottom line of scores and efficiencies. By all means, then, let’s use the tools we have to think about it better, to question our appreciations and sharpen our tastes, but without letting it crowd our appreciation of even the flawed moments. ..."
Read more articles in Magic Basketball.
' Visión de Futuro '. This Sunday's Reflections includes short answers to important short questions about the eBA Basketball Statistics Analysis System. "... How can I evaluate my team's quality at rebounding opportunities ?..." For the applicability and discussion of the formula, go to the eBA Basketball Statistics Analysis System. "... How might the standard deviation of a normal distribution as a player season statistics be greater than the mean ? ..."
If some scores are negative, the mean could be very small despite a large SD. The mean could be anything, even negative. Standard deviation is always positive. "... What is really the "Adjppg" ( Adjusted Points Per Game ) ? ..."
Adjusted points per game (Adjppg) is just points per possession times the league average of possessions per team per game. This scales its yearly average to be as the league average for PPG -Points per Basketball Game. This method applies in a straightforward manner to teams. It has never been applied to individuals. For a deep analysis go to eBA Basketball Statistics Analysis System. Question: Two players on the same drill show the following results over a long period of time. ...................requires to complete the drill? ...............b. Which player appears to be faster in completing the drill? ....drill, since he has a smaller variance. b. Player B appears to be faster in completing the drill, since he has a smaller mean. See in our forum the 'descriptive statistics' topics and the exposition "Basketball Statistical Analysis" at eBA ONLINE. "The idea is to take the minutes a player played in each game, multiply it by the team's points allowed in that game, and compare it to how many points the team actually gave up with the player on the court. From that, we determine his defensive value by the difference between "expected points" and the actual points -- something I call "points saved". where oppPTS is the opponents points scored in games in which the player played, and oncourtoppPTS is the opponents points scored while the player was on the court. As an extension, Hollinger also developed a simpler formula that quantifies how impressive a player's individual performance is in a given game. The entire modern box score of the player is needed for calculation, including offensive and defensive rebounding, steals, blocks and turnovers. I leave my commentaries about these formulas in the eBA Forums. Read More at eBA CLINICS ONLINE, search "points saved" in this blog and consult the eBA Basketball Statistics Analysis System. at the eBA Encyclopedia > eBA System. The modified Tendex rating was created by Jon Scott based on a "per minute" basis and a "per game" basis. The per game basis weights more heavily toward players who play more substantial minutes and therefore reflect their worth to the team (from the fact that the coach chose to play them the majority of the minutes). The "per minute" basis better highlights players who may come in for short times, but who are extremely productive while in game. Read More at eBA CLINICS ONLINE, search "blocked shots" in this blog and consult the eBA Basketball Statistics Analysis System. This Week Basketball Book & eBook eBA DVICE ! Journey "inside the numbers" for an exceptional set of statistical tools and rules that can help explain the winning-or losing-ways of a basketball team. Basketball on Paper doesn’t diagram plays or explain how players get in shape, but instead demonstrates how to interpret player and team performance. Dean Oliver highlights general strategies for teams when they’re winning or losing, and what aspects should be the focus in either situation. Oliver conceptualizes the meaning of teamwork and how to quantify the value of different types of players working together. He examines historically successful NBA teams and identifies what made them so successful individual talent, a system of putting players together, or good coaching. Oliver then uses these statistical tools and case studies to evaluate the best players in history - such as Earvin 'Magic' Johnson, Wilt Chamberlain, Bill Russell, and Charles Barkley - and how they contributed to their teams’ success. He does the same for some of the NBA’s "oddball" players - Manute Bol, Muggsy Bogues, and Dennis Rodman - and for the WNBA’s top players. Basketball on Paper is unique in its incorporation of business and analytical concepts within the context of Basketball to measure the value of players in a cooperative setting. Whether you’re looking for strategies or new ideas to throw out while watching the ballgame at a sports bar, Dean Oliver’s Basketball on Paper will give you amazing new insights into teamwork, coaching, and success. Read the complete review and an excerpt at the eBA Portal ! And ...! • Publisher: Potomac Books Inc. The Prouty is a method of rating players created by Jon Scott, based on averaging four areas: Offensive Efficiency, Total Offense, Possessions Gained and Win Rating. The various individual parts are based on a per minute basis. Excerpt of my Exposition about "Basketball Statistics Formulas Revision"
in the current Basketball Statistics Course at the eBA Clinics. Read More at eBA CLINICS ONLINE, search "statistics formulas" in this blog and consult the eBA Basketball Statistics Analysis System.